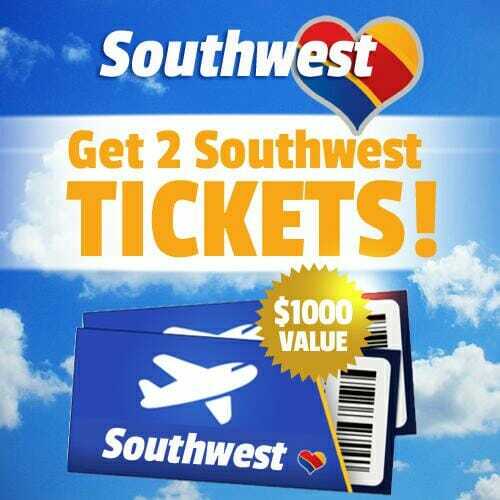 Who wouldn’t love to receive a $100 gift certificate from Southwest Airlines? Unfortunately, the Southwest survey emails currently making the rounds are nothing more than a lure to have you willingly provide your personal information to scammers. Hereʻs the scoop on the Southwest survey scam. Southwest is the largest low-cost airline in the world, thus making it a prime target for scammers looking for a believable story with which to hook victims. In the past, the scams have taken the form of “two free Southwest tickets” in exchange for filling out a survey. The scams have been run via email as well as on Facebook. of individual pride, friendliness, warmth and company spirit. * * * * * * * * * * * * * * * *. As it turns out, we recently flew Southwest for a convention in the Midwest and this email came in just days after our trip. With no typos, grammatical errors, or extraneous garbage at the bottom of the email, this one could have passed for a legitimate solicitation from Southwest. It’s not. As always, do not follow the links for the Southwest survey or any other email. If you do accidentally make the mistake of following the links, your browser will be redirected to a new website (there may be multiple redirects). When you eventually land on a page, you will be confronted with a popup notification that you’ve been selected as a winner. It will be tempting to close the popup. Do not do this, either. Instead, take the time to close your browser. Scammers are very tricky. They’ll disguise their download links in different ways, which is why you never want to click anything once you’re on their site. Also, even if they don’t download a file to your computer, but simply take your information, you’ll be giving away your most valuable asset and your privacy.